On Wednesday night I attended the Adelaide Tech Meet meeting at Hackerspace, King William Street in the city, after being invited to do so by Kym VK5FJ. I delivered a presentation on the portable aspect of amateur radio, which included equipment used, and some of the various formal portable programs including SOTA & the VK5 Parks Award. 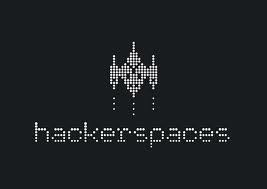 Hackerspace are a group of people with an interest in electronics and computing, who meet to work and share on their ideas. I was the third of five presenters during the evening. The first 2 presentations were well at least for me, quite technical in regards to computers. I think I was lost after the first 5 minutes. But I have never professed to be computer literate. The meeting was attended by about 25 people who all showed a keen interest, despite the fact that only 3 that were present were amateur radio operators. Because the majority of the audience were new to amateur radio, I tailored the start of the presentation, and explained in basic terms what ham radio was all about. 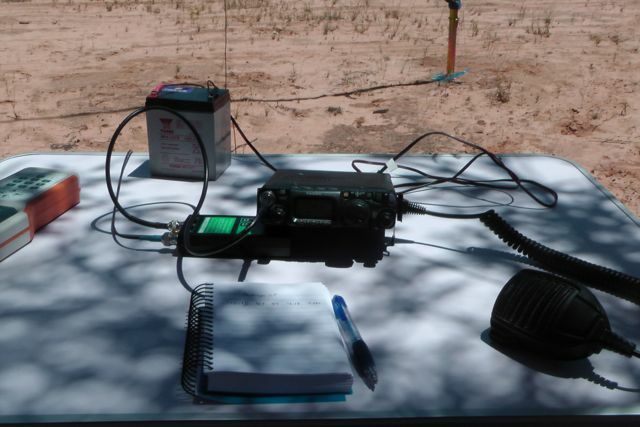 Other than the powerpoint presentation, I took along my FT-817nd, a SLAB battery, and a few portable antennas. Much to my surprise, at least 2 people in attendance showed a very keen interest in obtaining their amateur radio licence. Thanks to Kym VK5FJ for giving me the opportunity to attend. The 2013 KRMNPA weekend was held between Friday 15th – Sunday 17th November, 2013. My wife Marija and I headed to Pinnaroo (near the Victorian border) for a 2 night stay and activated the Murray Sunset National Park on Saturday, and Wyperfeld National Park on Sunday. I have added separate blogs for those activations. I worked a total of 63 stations in both parks. In Murray Sunset NP I had 26 QSO’s into VK1, VK2, VK3, & VK5, whilst in Wyperfeld NP I managed 37 QSO’s into VK2, VK3, & VK5. I worked a total of 16 different Victorian National Parks, as follows…..
And I added 4 x new parks to my KRMNPA list, bring me to a total of 33 Victorian Parks worked. 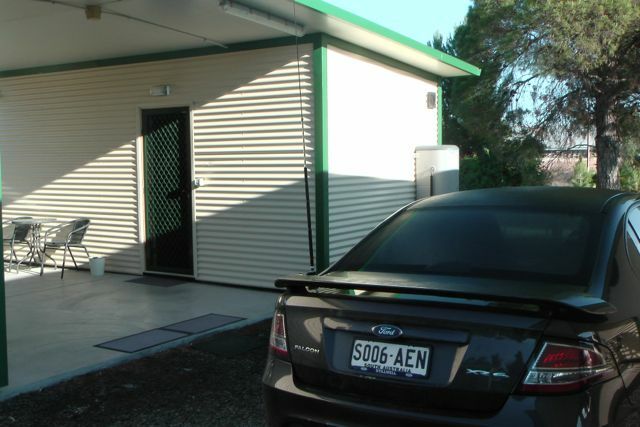 The new Parks worked were…..
Our accommodation at the Pinnaroo cabins was excellent. 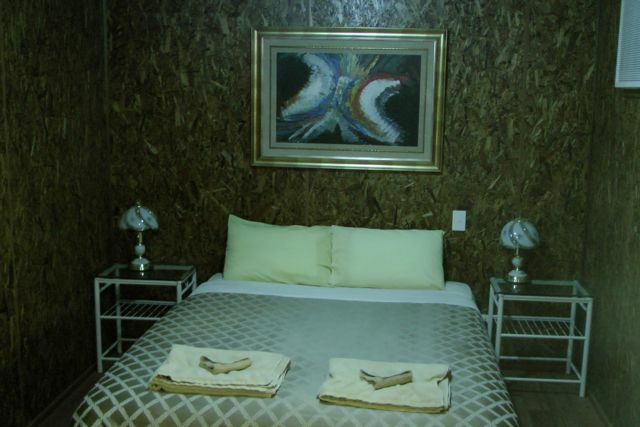 They were very friendly and although basic, the accommodation was very clean & tidy. Recommended ! It was great to catch up with Larry VK5LY and his wife Di, on the Saturday night. 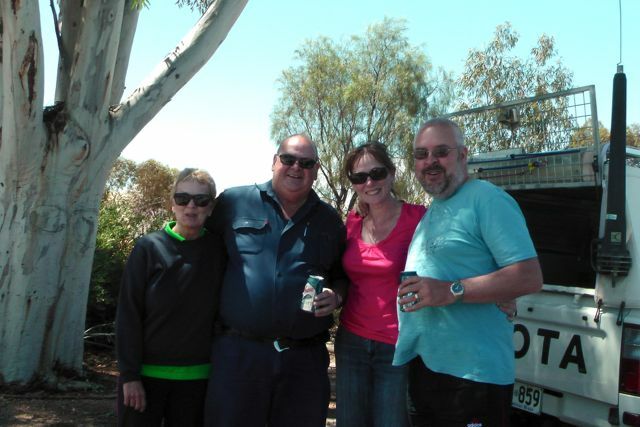 We had a nice feed at the Golden Grain Hotel at Pinnaroo. We can also recommend the Cobb and Co Cafe at Murrayville. After our activation at Wyperfeld NP, we stopped off there and had a coffee and some really delicious home made cake. 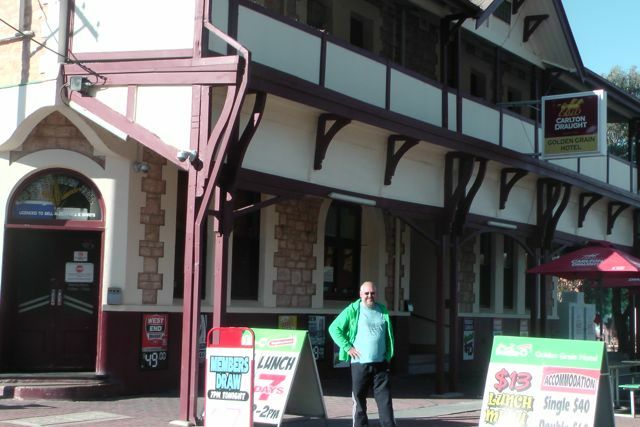 And Marija and I had an enjoyable trip back home to the Adelaide Hills, stopping off on the way back, and looking at a few of the sights on the Mallee Highway. The Kow Plains homestead just outside of the little town of Cowangie, is well worth having a look at. There are a number of restored buildings here that date back to the 1860’s. Thanks to Tony VK3VTH for co-ordinating a really enjoyable weekend, and everyone else involved in the organisation including Peter VK3ZPF. Thanks to all the activators. And thanks to everyone that called me during my 2 activations. It was a lot of fun. 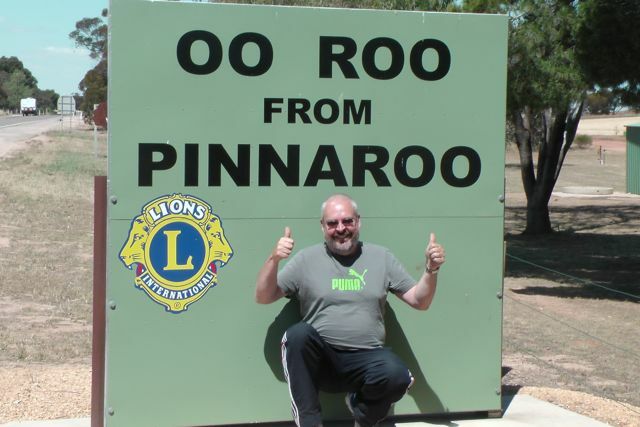 On Sunday morning, 17th November, 2013, Marija and I left the Pinnaroo cabins, and again headed across the border into north western Victoria. We drove into the little town of Murrayville, and then travelled about 30 km along the Murrayville Track, until we reached the Wyperfeld National Park. 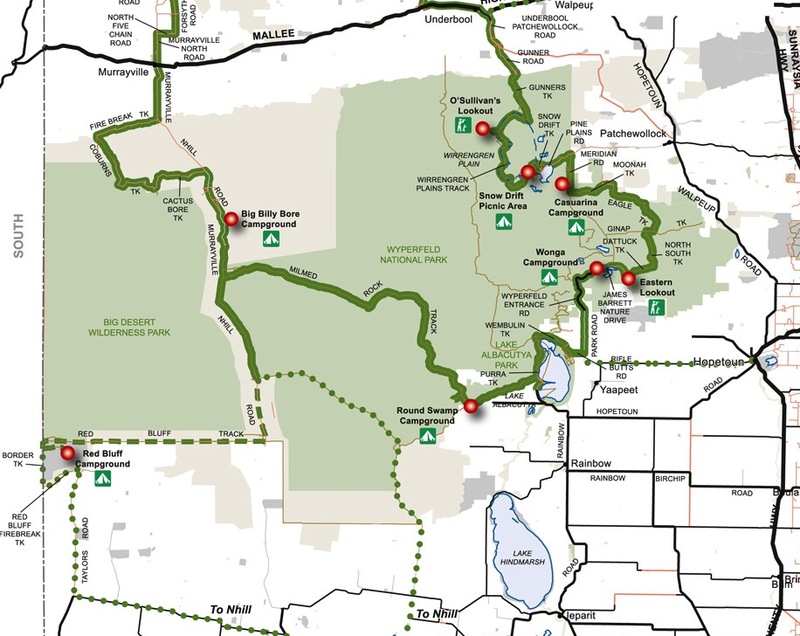 Wyperfeld National Park is the third largest National Park in Victoria and covers an area of 3,570.17 km². It was declared in 1921, and has been significantly expanded since that time to protect a huge area of mallee, woodland, and heartland in the north west of Victoria. Wyperfeld contains numerous sand dunes and these are estimated to be between 40,000 and 15,000 year old. Wyperfeld was once a shallow sea from about 25 million years ago. As the seas slowly retreated, the westerly winds blew sand over the exposed inland areas, which resulted in the rolling sand dunes that you see today. Wyperfeld was originally home to the local aboriginal people, the Wotjobaluk, who regularly travelled up and down Outlet Creek, visiting the lakes and swamps in their quest for water and food. They called Outlet Creek, ‘Tyakil-ba’Tyakil’. Outlet Creek snakes its way through the centre of the park. The first European to venture along Outlet Creek was James Clow, who in 1847, established the first pastoral run. By the early 1900’s, the mallee of Victoria was a fast disappearing habitat. And luckily, by 1909, a number of naturalists persuaded the Victorian Government to temporarily reserve 3,900 hectares. By 1921, the park was declared. The name, Wyperfeld, is of Germanic origin, and was most likely given by the Germanic settlers who came to the Wimmera and Mallee regions from South Australia. Fortunately Spring is the best time to see the wildflowers in the park. And there were quite a few plants out in flower that we saw. About 520 species of native plants occur in the park. River Red Gum and Black Box woodlands cover the floodplains of Outlet Creek and the lakes within the park. Cypress-pine woodlands grow on the dunes near the lakes. 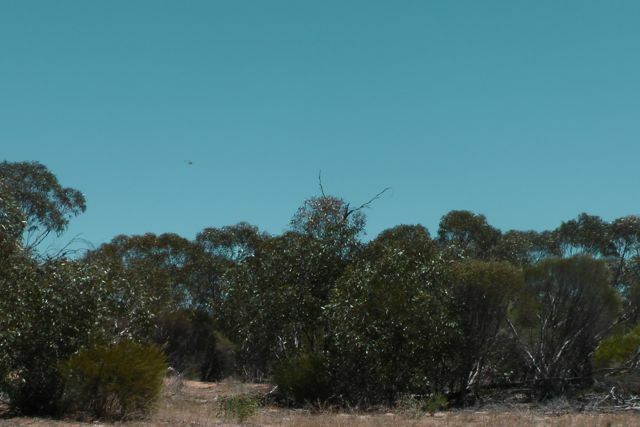 On the eastern side of the park, mallee is the predominant flora. In the western section of the park, heathland covers the rolling sand plains. More than 200 species of birds have been recorded in the park, including the Sulphur Crested Cockatoo, Emus, Mallee Ringneck Parrot, Red-rumped Parrot, Galah, Variegated Fairy-wren, & Red-capped Robin. 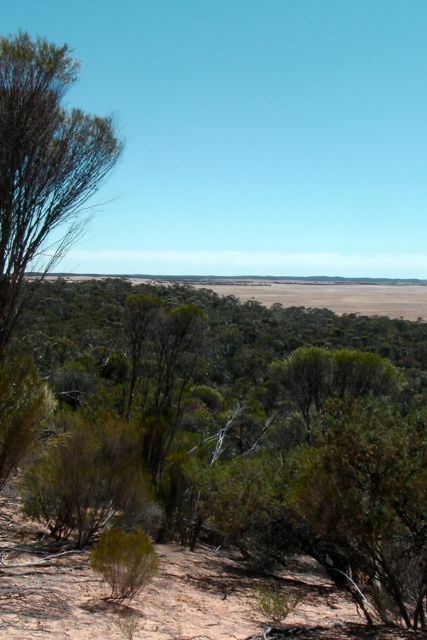 Wyperfeld is part of the Wyperfeld, Big Desert and Ngarkat Importand Bird Area, which has been identified as such by BirdLife International, due to its importance for the conservation of the rare Malleefowl and various other mallee bird species. A large variety of reptiles can be found within the park. They include the Sand Goanna, dragons, skinks, and geckos. 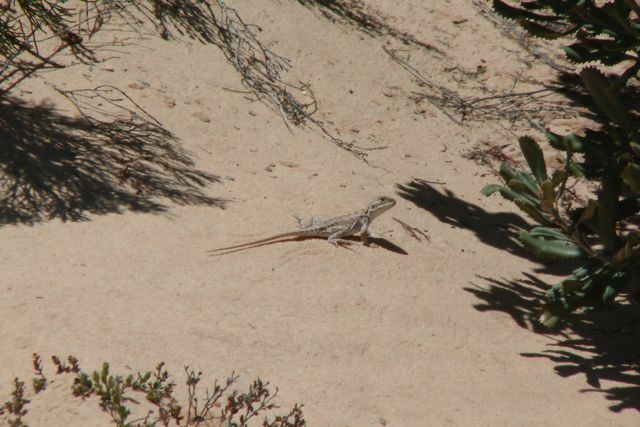 We saw literally hundreds of lizards sunning themselves on the Murrayville Track. Surprisingly, snakes are rarely seen in Wyperfeld NP. Marija and I pulled up at the Milmed Rock 4WD track, and set up the gear here. It was already very warm, and safely there was no shade. I could see some small gum trees about 2 km into the bush, but I didn’t fancy trying my luck along Milmed Rock Track, as it was very very sandy and suitable for 4wd only. 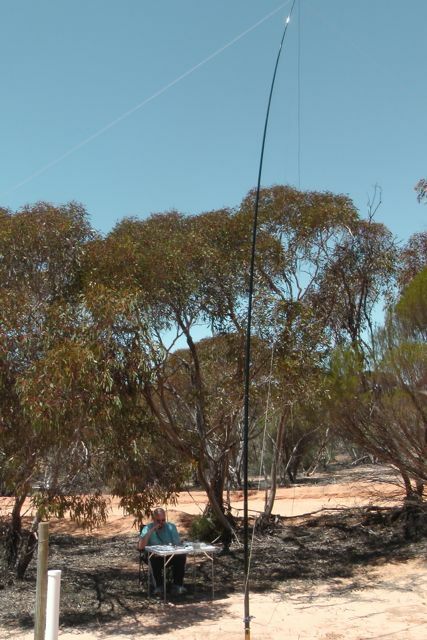 Fortunately the track ran north – south, so I set up the 40m dipole using my 7 m squid pole, and tied off the ends to some of the small native shrubs. We set up the folding table and deck chair, and away I went. My first contact from within Wyperfeld was with Peter VK3YE who was sitting on the end of a concrete pier at Chelsea Beach in Melbourne. Peter had a great signal as always from his QRP pedestrian mobile set up (5/8 both ways). This was followed by a steady flow of callers from VK3 & VK5, including Tim VK3MTB who was operating portable from Morwell National Park, and Tony VK3VTH who was operating portable from the Lower Glenelg National Park. 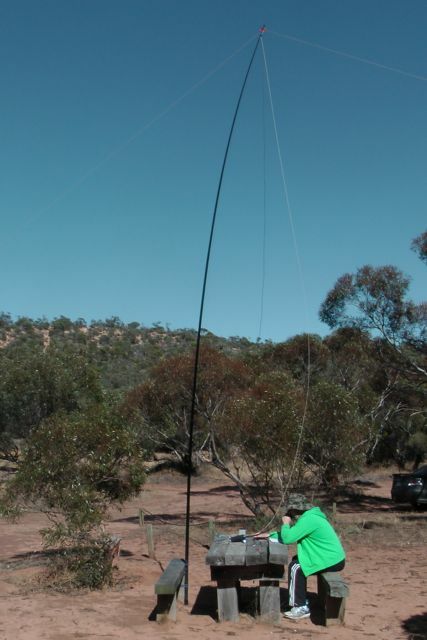 I then decided to tune around the band to see if I could pick up a few more park activators, and was fortunate enough to speak with Ben VK3FTRV who was portable north of Halls Gap, in the Grampians National Park, using his full wave loop antenna. 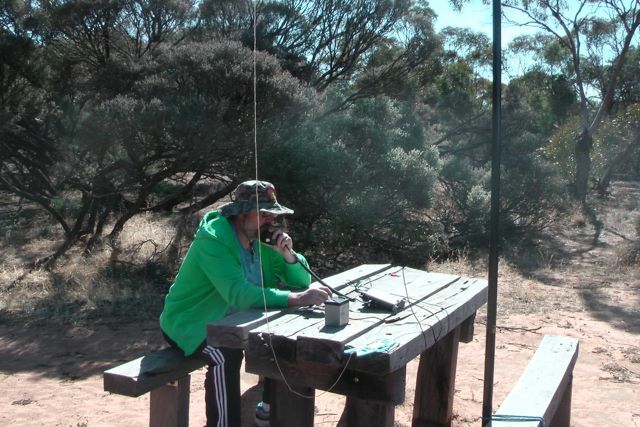 I then spoke with Larry VK5LY who was portable in the Murray Sunset National Park, and then stumbled across Andy VK5AKH who was operating portable from the Morialta Conservation Park, as part of the VK5 National and Conservation Parks Award. The 40m band was in quite good condition and was very busy. The Ballarat Amateur Radio Club were also holding their annual Field Day and I propped on 7.085 and I worked a number of their members, operating portable in the field. Joe VK3YSP, who was operating portable from the Dandenong Ranges National Park, with his wife Julie VK3FOWL, called in to say hi. After working a number of stations I decided to tune across the band again, and I spoke with Peter VK3ZPF who was active again on a SOTA peak. This time, Mount Ida, VK3/ VU-009, which is also within the Heathcote-Graytown National Park. I was really happy to find Peter, because this was a new Victorian park for me. Peter was kind enough to leave me his frequency, and again I worked a steady flow of park Hunters. This included Andy VK3CAH who was portable in the Kara Kara National Park, and Andrew VK1DA/2 who was portable on SOTA peak, Spring Hill VK2/ ST-036. As the day progressed, it was getting hotter and hotter, so I improvised and used an umbrella from the boot of the car to offer me some shade. 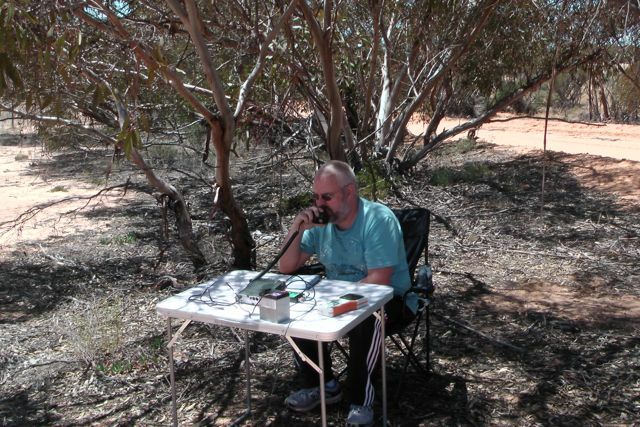 I had heard a few guys tell me that the south east fellas were around, so I tuned up to 7.110, where I spoke with Col VK5HCF/p, Tom VK5EE/p, and Greg VK5ZGY/p, who were all portable in the Lower Glenelg Conservation Park. They had gained access to the park via boat, and were using 5 watts from an IC-703 and a linked dipole. A great effort fellas. After working Col, Tom, & Greg, I found Glenn VK3YY, who was portable on SOTA peak, Spion Kopje, VK3/ VT-040 (5/6 both ways). My last 2 contacts of the day were with Stu VK5STU/p, and Nigel VK5NIG/p. Stu and Nigel were portable at One Tree Hill trying out their new Yaesu FT-817nd’s (which they had bought from the AHARS Buy & Sell, a few weeks earlier) and experimenting with portable antennas (linked dipole & 40m inv fee dipole). Time was getting away, & I had pushed my luck with Marija sitting in the car watching DVD’s, so it was time to pack up. I had a total of 37 QSO’s in the log. Peter VK3YE/pm; Ron VK3AFW; Ivan VK5HS; Tim VK5AV; Tim VK3MTB/p; Tony VK3VTH/p; Frank VK3GFS;Ben VK3FTRV/p; Larry VK5LY/p; Andy VK5AKH/p; Ian VK3AXH/p; John VK5EMI; Brian VK5FMID; Harry VK3KGL/p; Tom VK5FTRG; Bob VK3NBV/p; Mal VK5MJ; Joe VK3YSP/p; Julie VK3FOWL/p; Peter Vk3TKK; Tony VK3VTH/p; Peter VK3ZPF/p; Bob VK3BNC/p; Andy VK5LA; Craig VK3KG/p; Andy VK3CAH/p; IAndrew VK1DA/2; Dave VK3VCE; Col VK5HCF/p; Tom VK5EE/p; Greg VK5ZGY/p; Glenn VK3YY; Nev VK5WG; Kevin VK3VEK; Stu VK5STU/p; and Nigel VK5NIG/p. Just wanted to say thank you to Tony VK3VTH for organising the KRMNPA weekend. It was a lot of fun, and we will definitely be participating again next year. 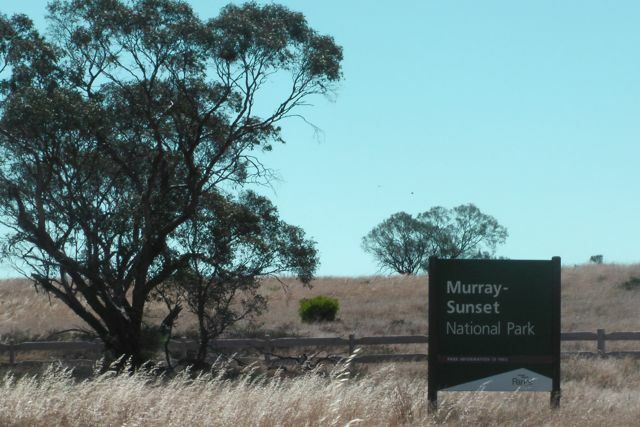 My third and final activation for Saturday was the Murray Sunset National Park. This was my first of two Victorian park activations for the 2013 KRMNPA weekend. 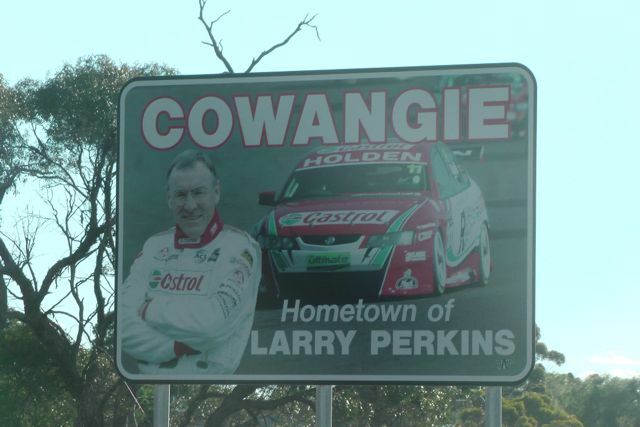 Prior to activating the park, Marija and I headed to the town of Underbool, where we met up with Larry VK5LY and his wife Di. After a nice cold beer, Larry loaned me one of his home brew 40m dipoles. The VSWR on my linked dipole had been very high, so I was very appreciative of Larry’s offer of a spare antenna. Murray Sunset National Park is 6,330 km2 in size and is the second largest National Park in Victoria. 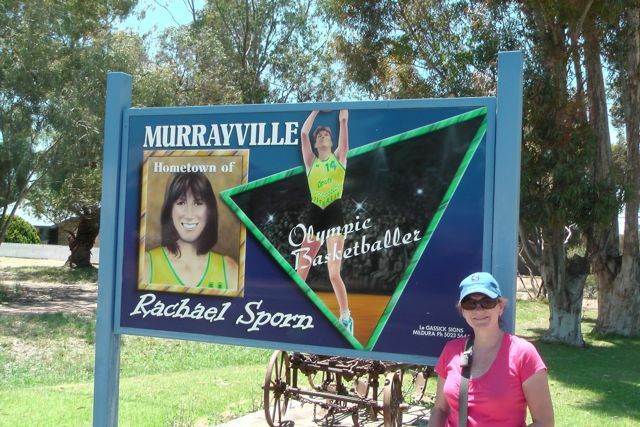 It is about 438 km northwest of Melbourne and is situated in the northwestern corner of Victoria, bordering South Australia to the west and the Murray River to the north. 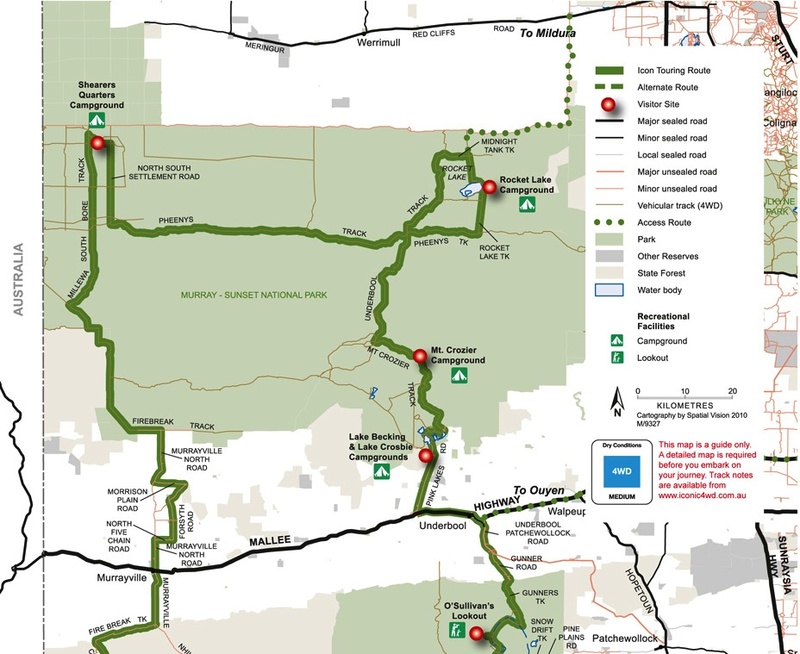 The Sturt Highway passes through the northern part of the park, but most of the park is in the remote area between the Sturt Highway and the Mallee Highway, west of the Calder Highway. Murray Sunset NP was created in 1991, and in 1999, the park was expanded to encompass Pink Lakes State Park. This is the area of the park that Marija and I activated. The lakes are dubbed “pink” after the beta-carotene pigment that colours it in late summer, caused by the algae Dunaliella salina. Beta-carotene is a red-orange pigment found in plants and fruits, especially carrots and colourful vegetables. Between 1916, through until 1975, this area was the site of a major salt industry. At its peak, 10,000 tons of salt was harvested and railed from Lake Crosbie, Lake Becking, and Lake Keynyon to the nearby town of Linga. Marija and I drove through Linga, and sadly it is a shadow of what it previously was at its boom. 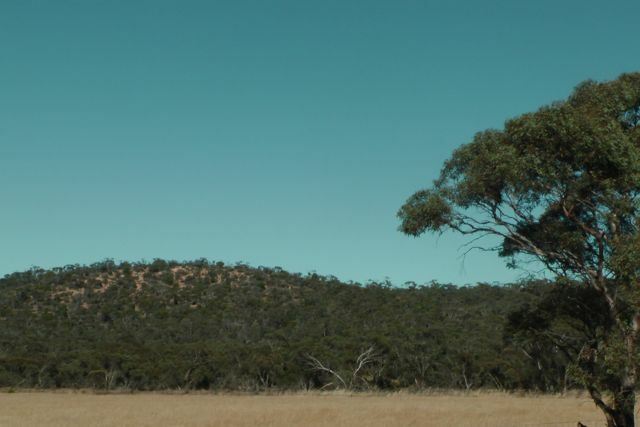 Over 600 species of plants have been recorded in the Murray Sunset National Park. 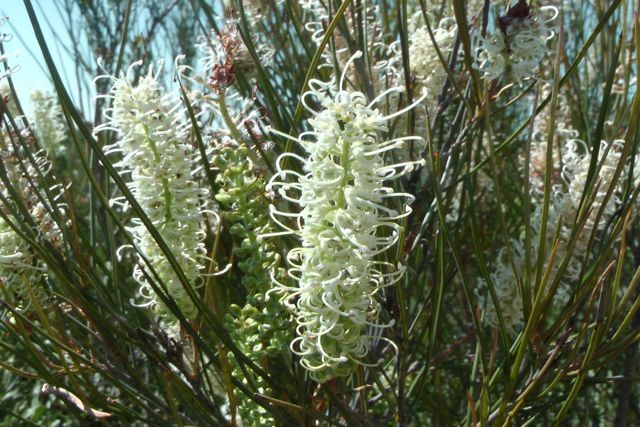 Some of the more notable plants include the Murray Lily, Silvery Emu bush, porcupine grass, and Blue leaved Mallee. 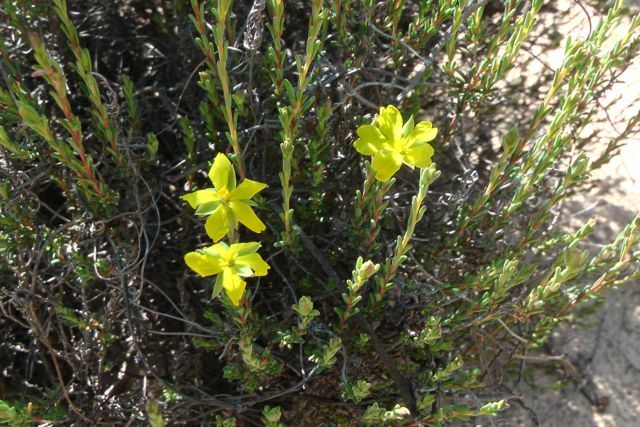 During springtime, there are numerous wildflowers including spider orchids, Azure Sun orchids, Desert Heath myrtles, and the interestingly named Poached egg daisies. The park is home to many Australian native birds. In fact over 300 species of birds have been documented. The majority of the Murray Sunset NP lies within the Murray Sunset, Hattah, and Annuello Important Bird Area (IBA), identified by BirdLife International. This is due to the fact that the agra contains mallee habitats which support numerous threatened mallee bird species, including the Malleefowl, Black eared Miner, and the Mallee Emu wren. 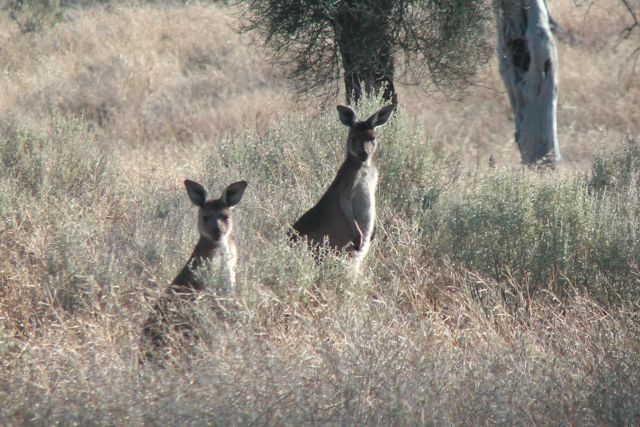 The park also supports a large amount of wildlife including both Western Grey and Red Kangaroos. When we were leaving we saw a group of Western Grey’s grazing in some of the grassy area. Marija and I pulled into the Lake Crosbie campground which was buzzing with activity. There were numerous campers and caravaners here. 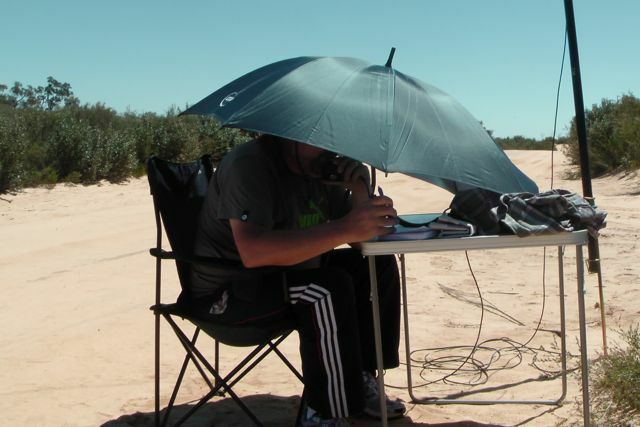 But we did manage to find a parking spot, very close to the shores of Lake Crosbie, and set up the gear here at a table with benches, and conveniently placed under the shaded of a nearby gum tree. The 40m band appeared to have ‘repaired itself’ a bit since the morning. Of course, it was a much better time of the day for the band as well. Signals appeared much stronger. 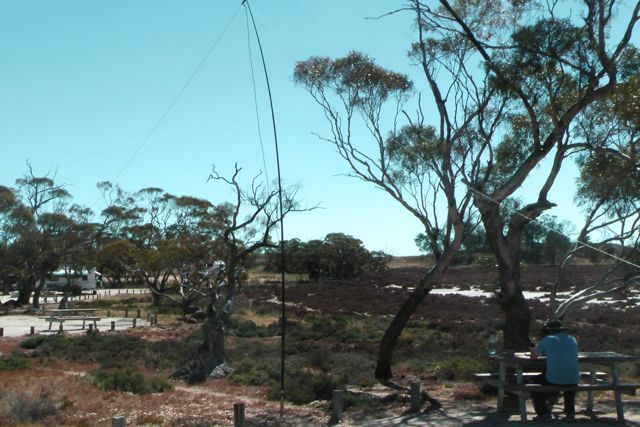 My first contact within the park was with Peter VK3ZPF who was portable on SOTA peak, West of England Range, VK3/ VW-013, which is contained within the Kara Kara National Park (formerly known as St Arnaud Range National Park). Peter had a beautiful strong 5/8 signal and I received 5/8 back. Things were looking promising. 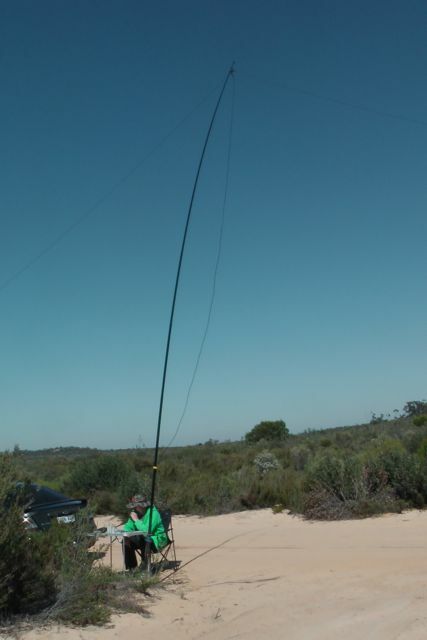 This was followed by a QSO with Joe VK3YSP and his wife Julie VK3FOWL, who were both portable in the Churchill National Park (5/9 both ways). I then worked into VK1, VK3, & VK5. Larry VK5LY then called in to say g’day. 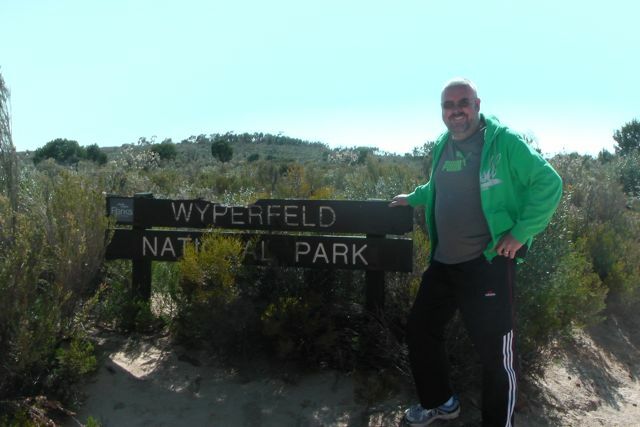 He was with his wife Di, portable in Wyperfeld National Park, which I planned on activating on Sunday (5/7 both ways). Following this I had a steady flow of callers from VK2 & VK3. My final contact of the day was with the same station I had started off with. That being Peter VK3ZPF who had moved, and now was portable on top of SOTA peak West if England Fire Tower, VK3/ VW-016, which was still within the Kara Kara National Park. After 2 very enjoyable and pleasant hours in Murray Sunset NP, it was time to pack up, and head back to Pinnaroo, and catch up with Larry & Di. I had a total of 26 QSO’s on 40m SSB. Peter VK3ZPF/p; Joe VK3YSP/p; Julie VK3FOWL/p; Matt VK1MA; Ron VK3AFW; Kevin VK3EC; Tim VK5AV; Ivan VK5HS; Ian VK5CZ; Larry VK5LY/p; Brian Vk3MCD/p; Ernie VK3DET; Clive VK3FCMR; Kev VK3AKT; Bob VK3XP; Frank VK3GFS; Joe VK3YSP/p; Mal VK3AZZ; Colin VK3LO; Laurie VK3AW; Peter VK2NEO; Tim VK3MTB; Peter VK3TKK, Lloyd VK2KNS; and Peter VK3ZPF/p. I have uploaded a video of this activation to You Tube. It can be found at…..
Off to my 2nd activation of Saturday 16th November. 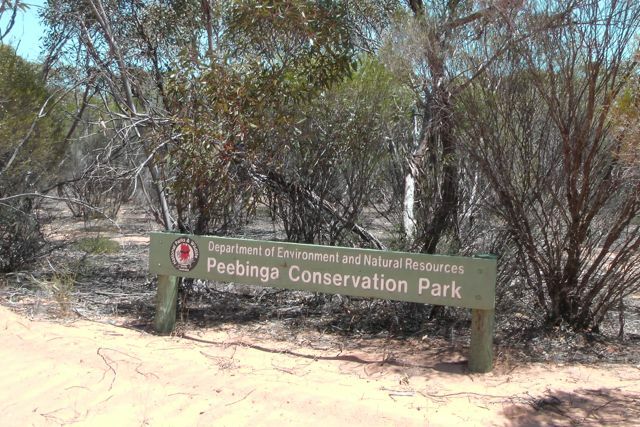 And this was to be Peebinga Conservation Park, which is located about 240 km east of Adelaide, and just 10 km west from the Victorian border. It is located about 37 km north of the town of Peebinga. Peebinga Conservation Park which is about 3.400 hectares in size, was reserved to conserve the habitat of the rare Western Whipbird. Vegetation in the park varies as some of it has been cleared and remains grassland. 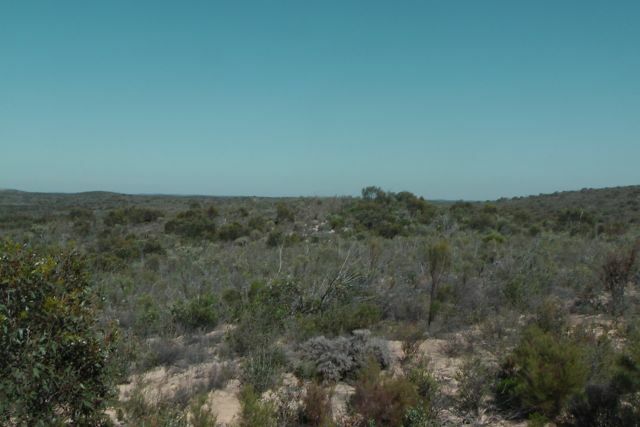 The rest is characterised by low stabilised dunes with open scrub cover featuring Ridge-fruited and Slender-leaved Mallee with Warty Cypress over Broom Bush. The higher areas have Square-fruited, Red and White Mallees. A total of 150 native flora species have been recorded in the park, including 14 of conservation significance. The ecological value of the park was formally recognised back in 1940, when Peebinga Flora and Fauna Reserve was dedicated. It was renamed following proclamation was a conservation park in 1977. The park is recognised by BirdLife International as an Important Bird Area. This is due to the fact that it supports a relatively large population of Malleefowl. The park previously had a population of Eastern Mallee subspecies of the Western Whipbird, which sadly, is now locally extinct. The declining species of Black shouldered Kite, and Tawny crowned Honeyeater are also found within the park. Numerous native animals also call the park home, including Western Grey Kangaroos and Echidnas. A total of 97 native fauna species have been recorded in the park. A total of 23 reptile species have been recorded within Peebinga CP, including the regionally rare Rough-nosed Blind Snake and the State rare Bardick, which is a small venomous snake morphologically similar to a death adder that attains a maximum length of 70 cm. Marija and I accessed the eastern side of the park via Conservation Road. The road is dirt and is in good condition. Everything was going well, until I came around a sharp corner which bordered the park, and the hard gravelk surface suddenly turned to very soft sand. After some cursing and some swearing, I managed to get the Ford Falcon out of a rather precarious situation. We decided to park the car and activate the park at this location. Fortunately there was some shade offered by small gum trees. It was great to sit under these and escape the sun. The temperature was rapidly increasing and there was no breeze to speak of. Conditions here on 40m SSB were really hard going. The band was certainly not in great shape, and my antenna was also playing up. The VSWR was showing as really high. However I did manage some interesting contacts including a handful of VK3 Park QSO’s. My first contact was with Larry who was portable in Hatte Kulkyne National Park. Larry kindly offered to meet me over the Victorian border, and provide me with a 40m dipole. My last 2 contacts of the day were with Bernard VK3AMB who was portable in the Organ Pipes National Park, and Nick VK3ANL who was portable in the Mornington Peninsula National Park. So after just 30 minutes in the park, it was time to pack up and head off across the border into Victoria to meet up with Larry and his wife Di. I had a total of 9 contacts in the log on 40m SSB. Larry VK5LY/p; Kevin VK3EC; Peter VK3PF; John VK5BJE; Ivan VK5HS; Andrew VK2UH; Tim VK5AV; Bernard VK3AMB/p; and Nick VL3ANL/p. The Keith Roget Memorial National Parks Award (KRMNPA) weekend was held between Friday 15th – Sunday 17th November, 2013. So my wife Marija and I booked in to the Pinnaroo cabins, near the South Australian and Victorian border, with the intention to activate 2 South Australian Conservation Parks and 2 Victorian National Parks over the weekend. 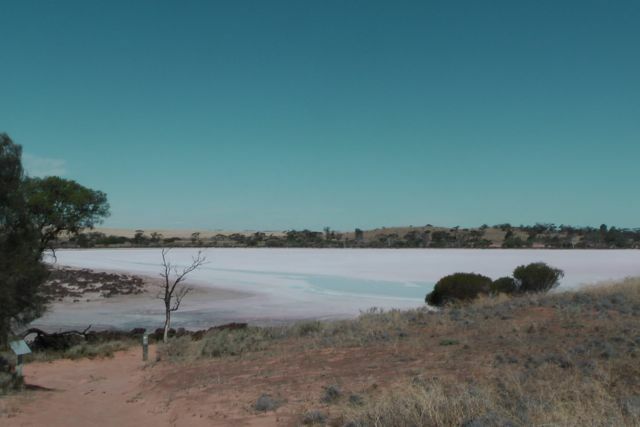 The first activation was the Karte Conservation Park, which is situated about 30 km north west of Pinnaroo, which in turn is about 250 km north east of Adelaide. We activated the park on Saturday morning (16th November) and accessed the park by travelling out of Pinnarroo along the Parilla Wells Road and then onto the Karte Road. We located the campground on the eastern side of the park, and set up the equipment there. The short dirt road leading into the park is well sign posted and is easily accessible to 2wd vehicles. The dirt track leading to the campground is about 250 metres in length from the roadway. How do you pronounce Karte ? Well, during the activation, I was corrected by Larry VK5LY, because I was pronouncing the park as (Kart). Larry informed me that it was (Kart-ay). Very French and toffy ! But I have since found that Karte (pronounced Kartee) is an aboriginal word meaning thick, low scrub. So it is not quite the exotic French influence that we thought. Karte Conservation Park which protects 3,565 hectares of mallee vegetation, was first proclaimed in 1969 as Karte National Park. It was later renamed as Karte Conservation Park following proclamation as a conservation park in 1977. The park comprises of thick low scrub covering steep sand dunes which rise up to 40 metres. Although I must say that they give the impression that they are much higher. Sadly, not quite high enough to be a SOTA peak, although they do have definite prominence over the surrounding terrain. 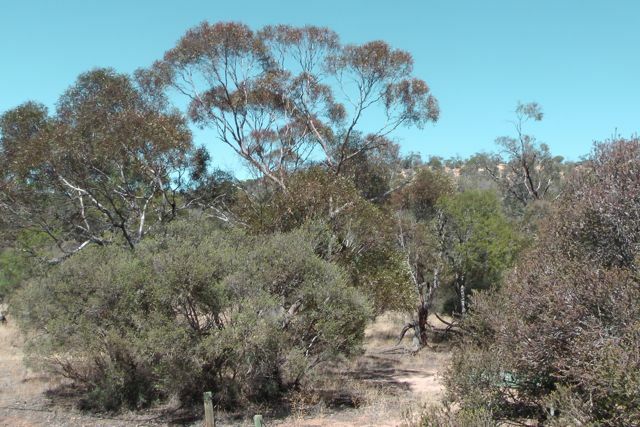 Other than thick and dense Mallee scrub, the park also contains Mallee Cyprus pines, wattles, and broombush. The park contains a large amount of wildlife. In fact if you look carefully at the sandy soil, you can see quite a few signs of their presence. Marija and I spotted quite a few kangaroo paw prints. Native animals that inhabit the park include western grey kangaroos, echidnas, and flat tailed dunnarts. What is a dunnart ? Dunnarts are strange looking narrow footed marsupials which are the size of a mouse. Karte Conservation Park is also home to a large variety of bird life. Over 40 species of birds can be found here, including Ringneck Parrots (of which we say many), Malleefowl, Whipbirds, Galahs, Thornbills, Weebills and Yellow-tailed Black Cockatoos. During the early twentieth century much of the surrounding land was cleared except for those areas that were unsuitable for agriculture. This includes the area that is now known as Karte CP. The sand dunes were deemed to be unsuitable for agriculture. At the campground we found a strategically placed timber table and benches, which was just perfect to call the shack, and attach the squid pole to. The morning was already warm, with no breeze. And there was no shade at the table, so we quickly set up to avoid the heat. I switched the radio on and tuned to 7.100 and placed a number of CQ calls, but sadly there were no takers. 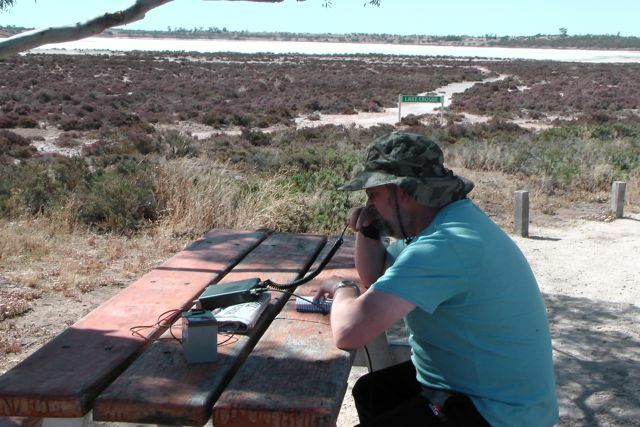 So I tuned down the band and found John VK2AWJ/3 who was portable in the Terrick Terrick National Park, talking with Joe VK3YSP who was portable in the Churchill National Park. So I called up to say hello to John and Joe, and also Joe’s wife Julie, VK3FOWL, who is newly licenced. I heard John VK5BJE call in to say hello to John, Joe, & Julie, but his signal was extremely low (no better than 5/3). In fact he was not really moving the meter on the 817nd. This was strange, because John normal rockets in wherever I am. I managed a few more park contacts prior to heading off to the next park. That included Larry VK5LY/3 who was portable in Hattah Kulkyne National Park, and Tony VK3VTH who was portable in Mount Eccles National Park. And to my listening pleasure, prior to dismantling the gear, I was subsequently called by John VK5BJE, who was now obviously peddling faster, because his signal had come up to a good 5/8. The 40m band was certainly moving around a lot ! And to top of a fun activation I was called by Nick VK3ANL who was portable on SOTA peak, Arthurs Seat, VK3/ VC-031, and I then worked Ben VK3FTRV who was on top of SOTA peak, Redmans Bluff, VK3/ VW-002, within the Grampians National Park. At the end of the activation, Marija and I went for a walk along the 1.5 km Karte Youth Hike, within the park. It commences and finishes at the campgrounds and winds its way through the scrub and up to the top of one of the higher sand dunes. The walk takes about 45 minutes return, and was constructed in 1988 by students at the Pinaroo Area School as part of the Bicentennial Project. There are Interpretive signs along the walking trail which provide an insight into the importance of the areas remaining vegetation. 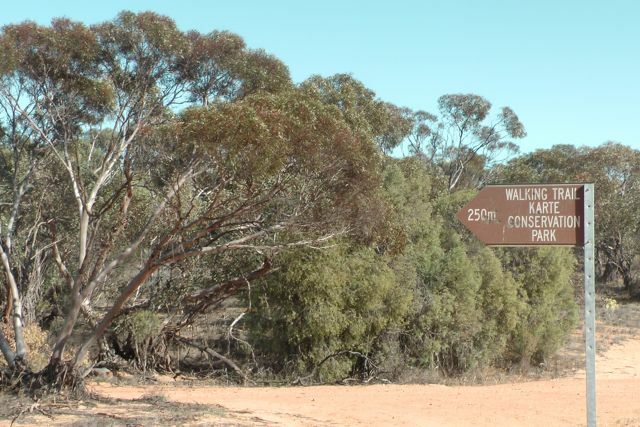 The signs explain how certain plants, ranging from small ground cover species to large trees, have an important part to play in the mallee. There are very good views from the top across the park and the seemingly endless farmland which stretches off to the horizon. In fact, over 83 native flora species have been recorded within the park, including 4 which are of conservation significance. The Inland Green-comb Spirder-orchid, which is nationally endangered, is also found within the park. So after about an hour on air, I had managed an unlucky 13 contacts on 40m SSB. John VK2AWJ/3; Joe VK3YSP/p; Julie VK3FOWL/p; Peter VK3PF; Owen VK7OR; Larry VK5LY/p; John VK5BJE; Ian VK5CZ; Mal VK3AZZ; Tony VK3VTH/p; Bill VK5MBD; Nick VK3ANL/p; and Ben VK3FTRV/p. Last night, I attended the North East Radio Club and gave a presentation on Summits on the Air (SOTA). The presentation did include the VK5 Parks Award, WWFF, & KRMNPA. But sadly I ran out of time to present the last part re those awards. There were about 35 people in attendance, who all showed a keen interest in the SOTA program. Hopefully I have encouraged a few more hams to get out and about, and activate a summit. Thanks to my mate Nigel VK5NIG, for asking me to come along. It was great to catch up with a lot of fellas that I had spoken to on air, but had never met. I have been asked to come back to complete the presentation, and let everyone know about the various parks awards.